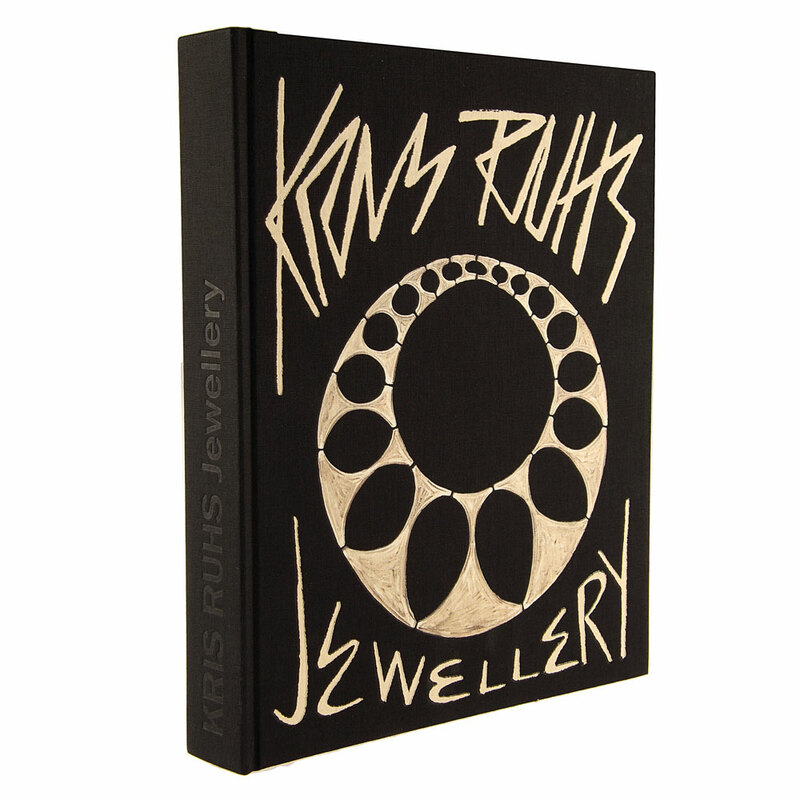 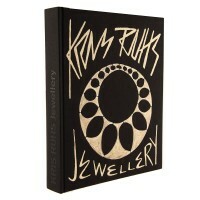 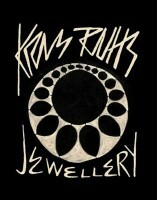 Kris Ruhs has been designing jewellery since 1976. 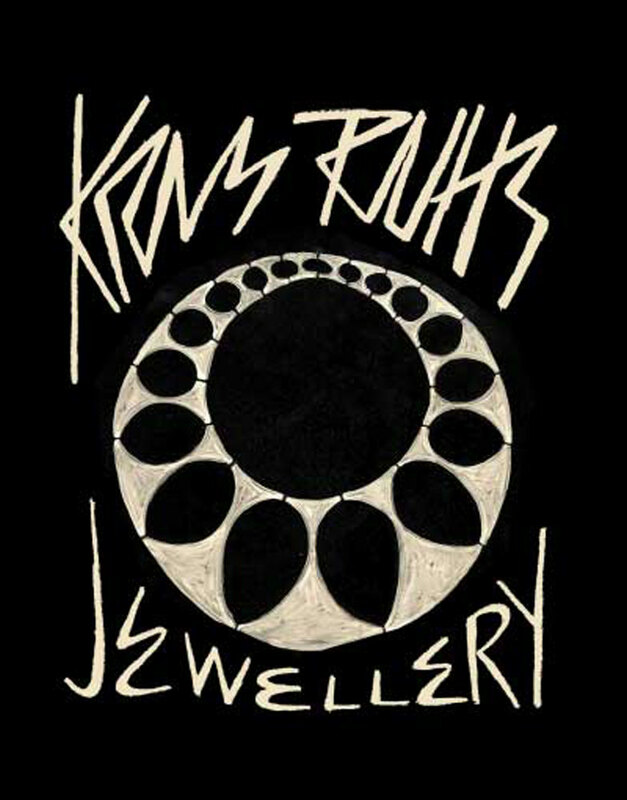 Over these years, Kris Ruhs crafted more than 1200 unique pieces between necklaces, earrings and rings. 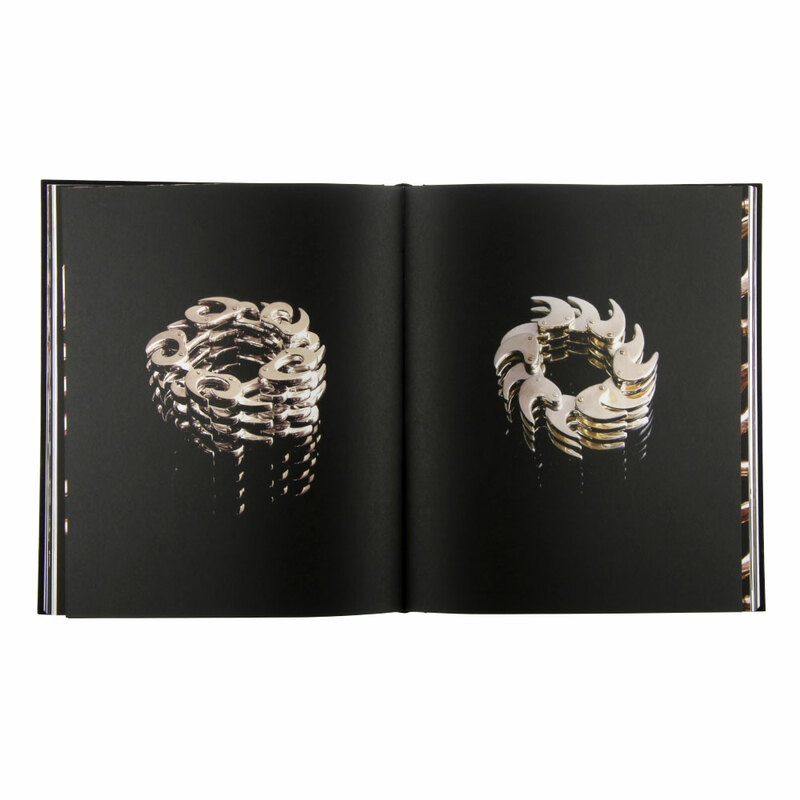 For many reasons, his creations can rightly be defined as sculptural jewels: their aesthetic, the craftsmanship involved their uniqueness make them like wearable art. 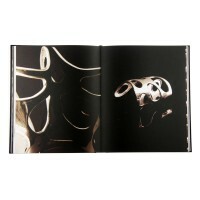 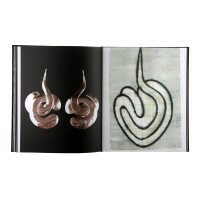 Coherent with this definition, each piece is hand made by the artist and is never intended to be produced on large scale. 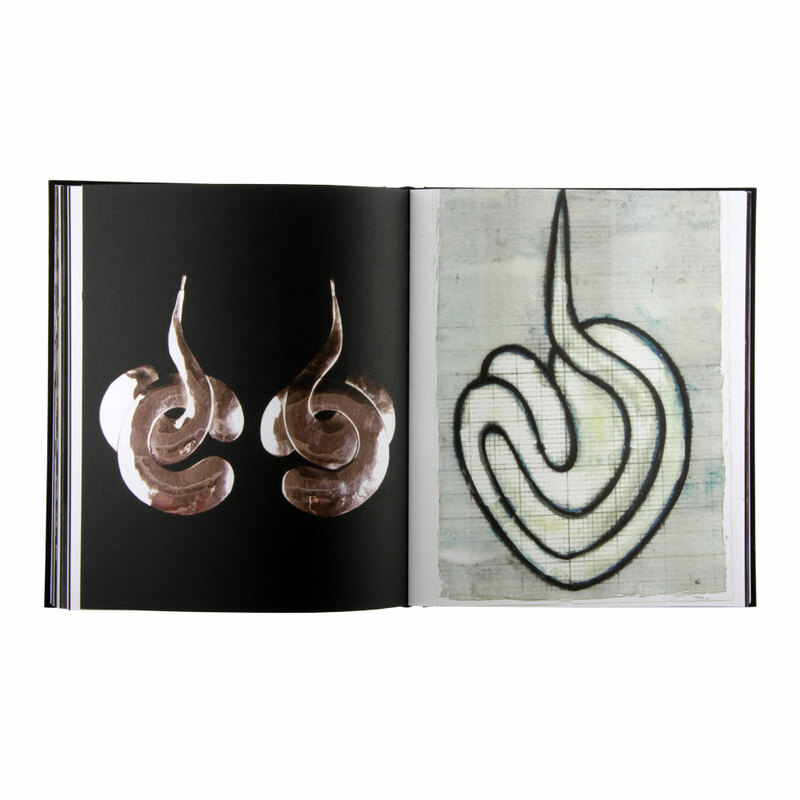 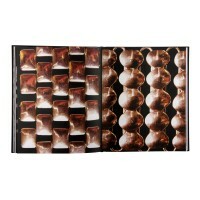 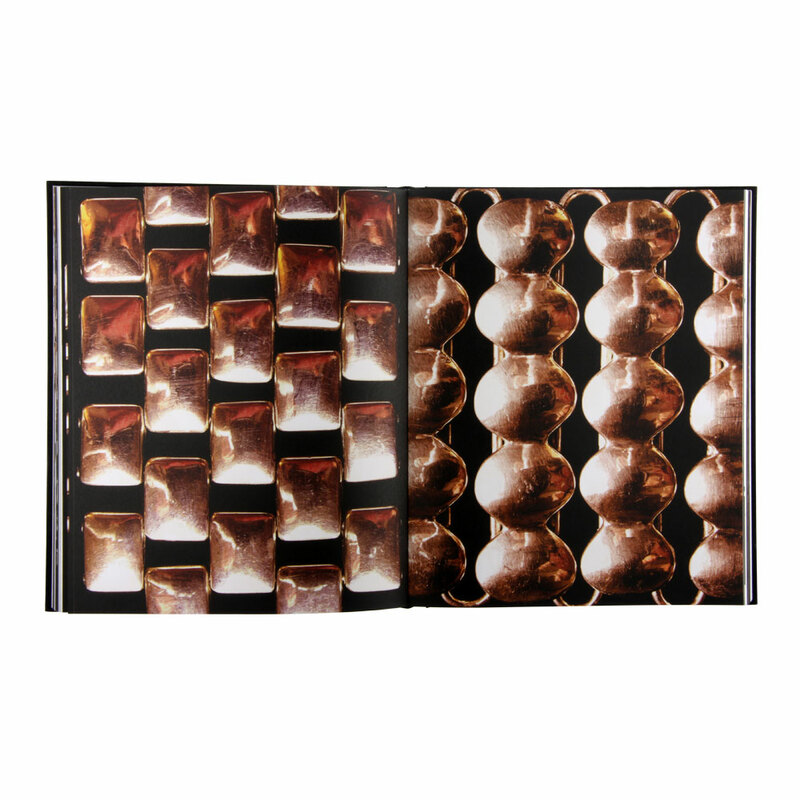 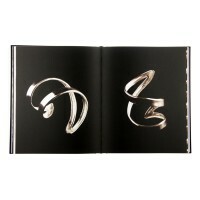 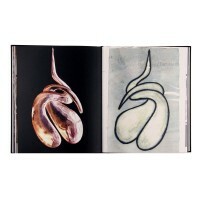 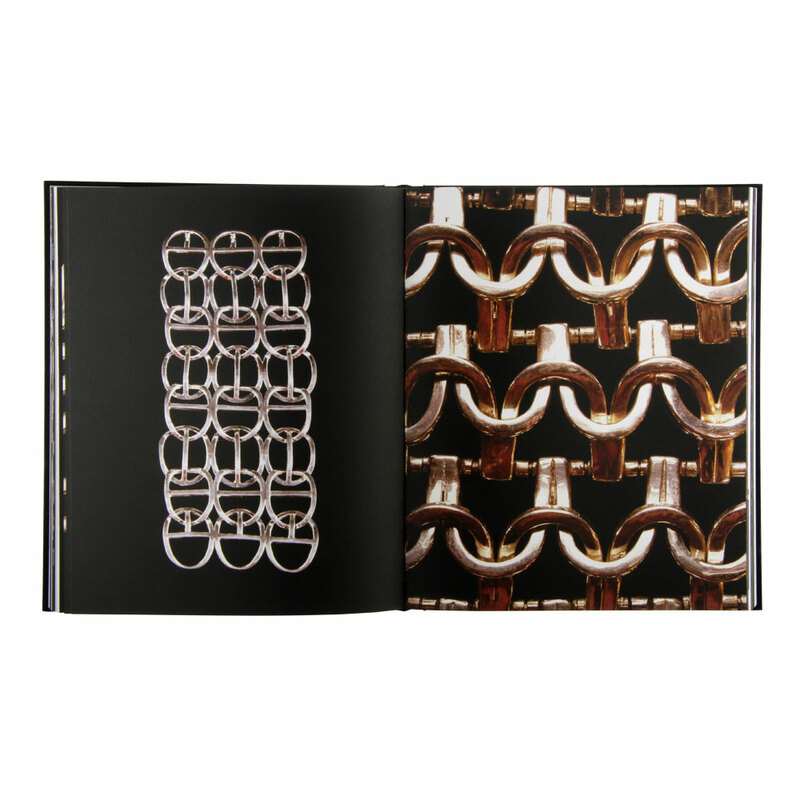 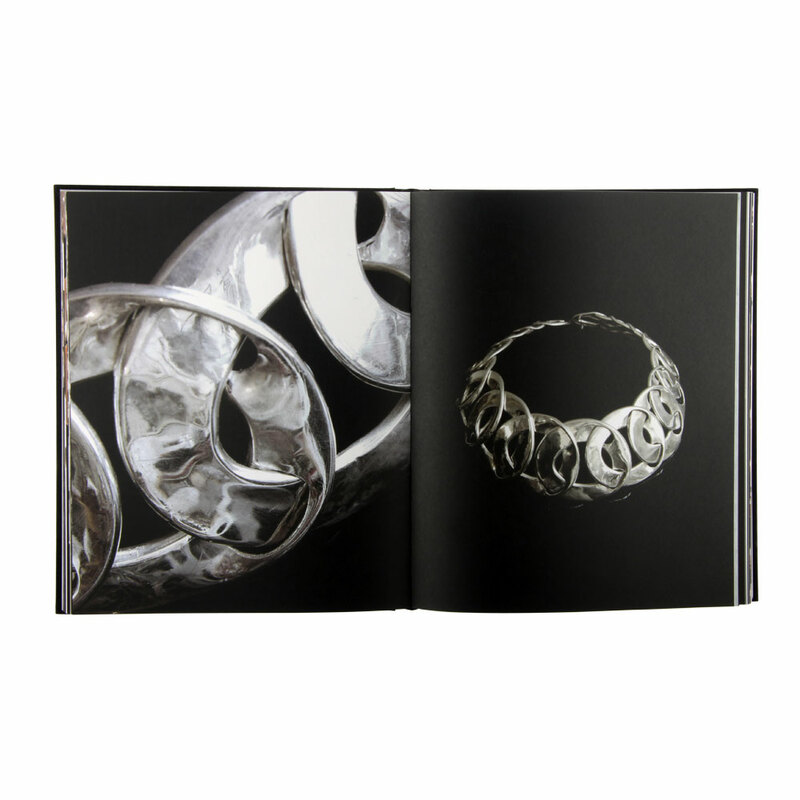 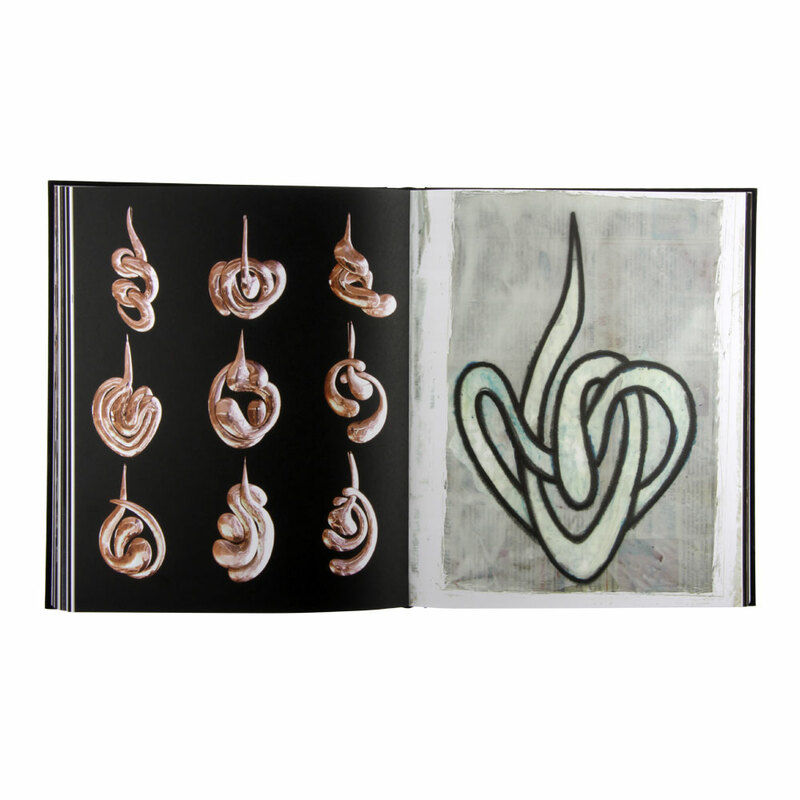 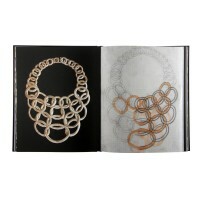 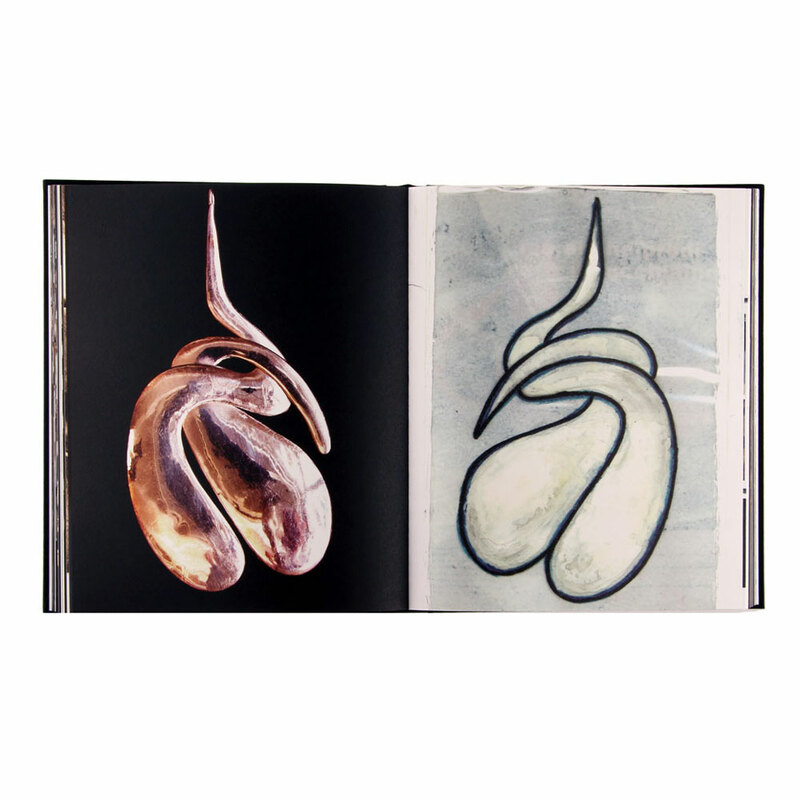 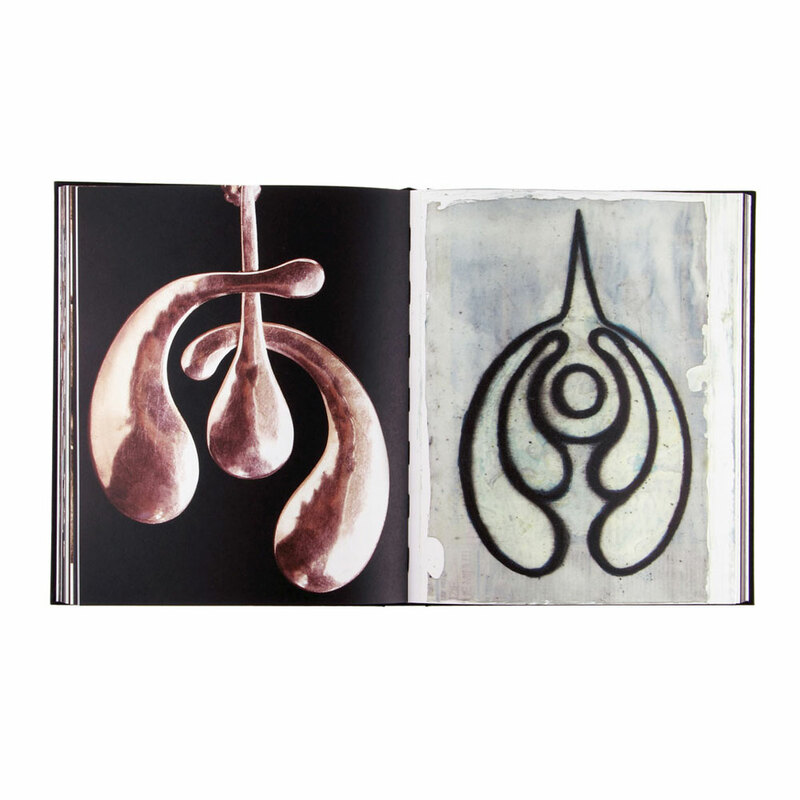 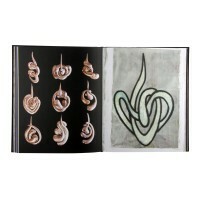 “Jewellery” is a two volumes publication that depicts well the process of creation involved and includes the original drawings that precede the design of the jewels. 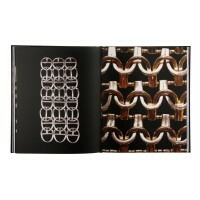 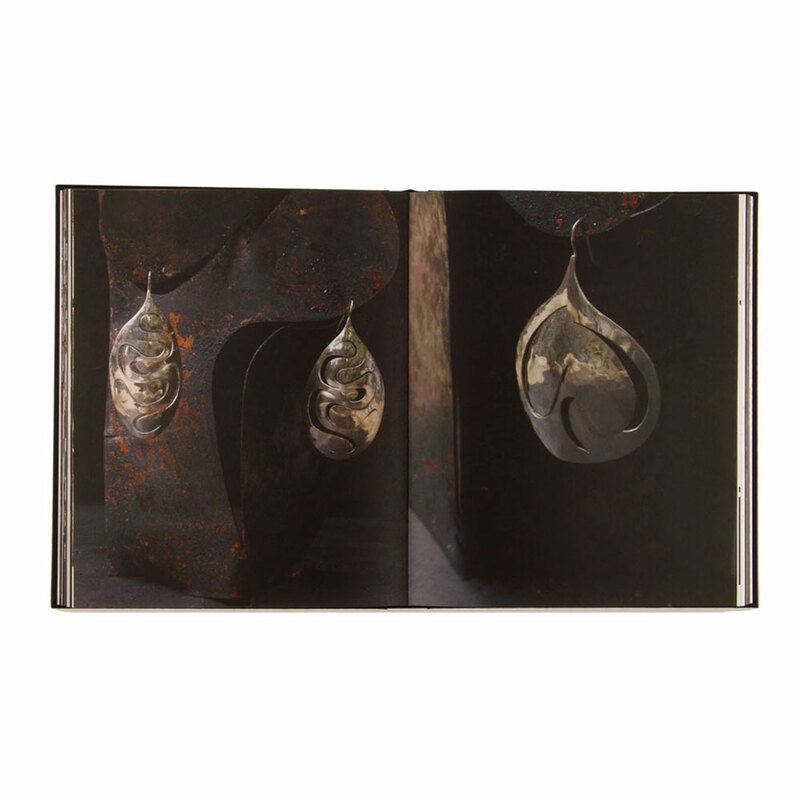 “Ebony”, the first volume of this publication, overviews the early production of jewels with ebony and ropes: wood is hand carved and patiently inserted piece by piece into lines of macrame' rope to create elaborate designs. 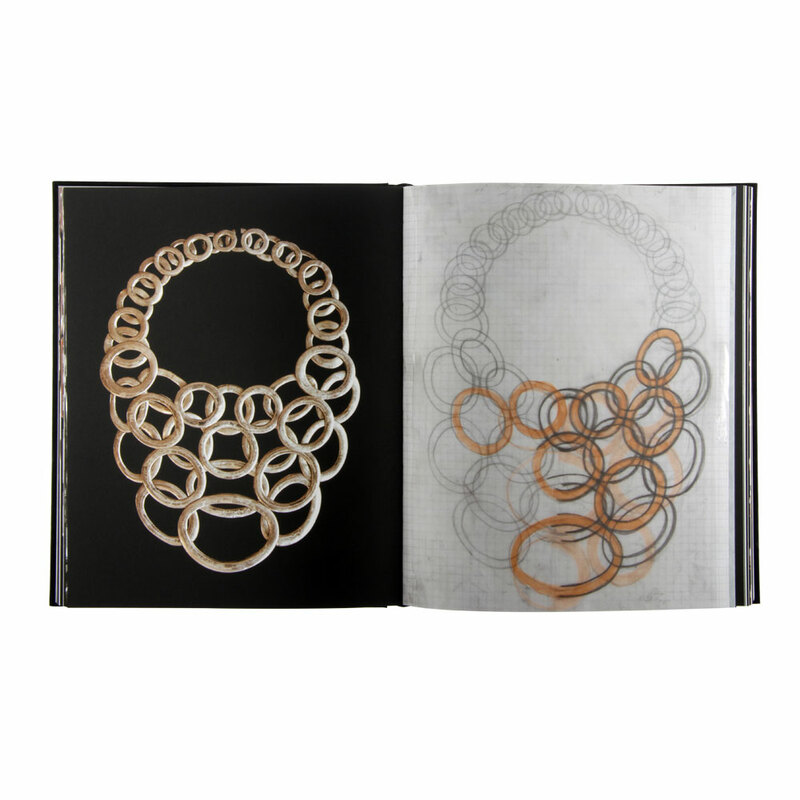 Rope and wood are sometimes put near silver or brass: more rarely they are used together with gold. 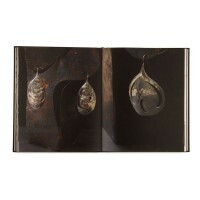 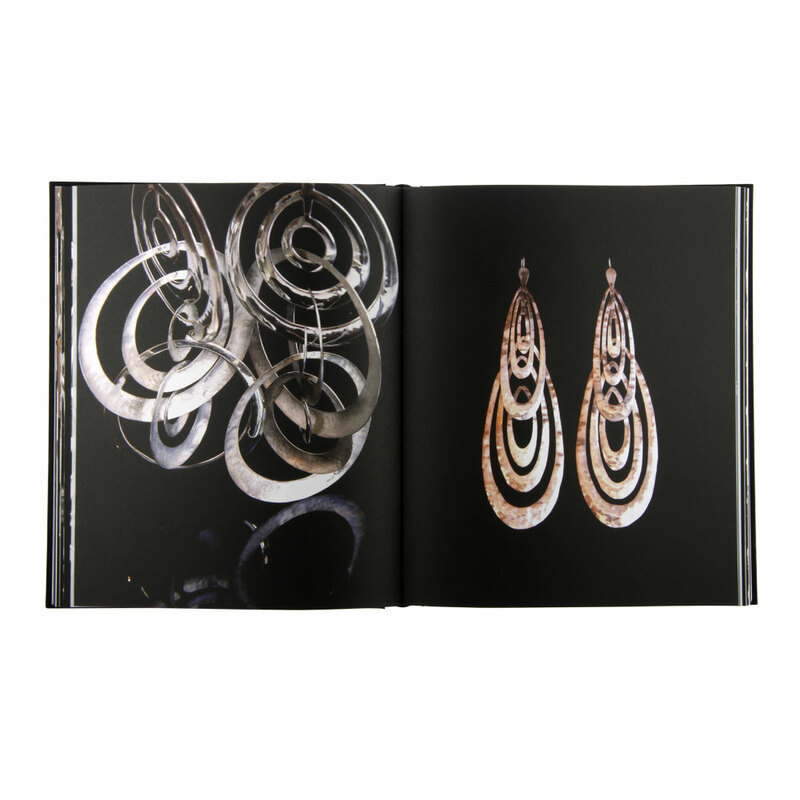 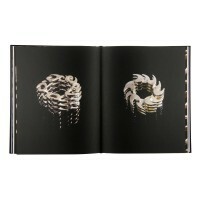 “Silver” is the second volume and goes through the creation of jewels in silver and gold; like in “Ebony”, Ruhs shows to approach jewellery as an art form and a natural appendix of his large scale of works. Here, Ruhs’s jewels remind the patterns and structures of his “labyrinth” sculptures: bent and twisted wire, composing the wall of these installations, become the simple and rough source of inspiration to create precious and unique objects.